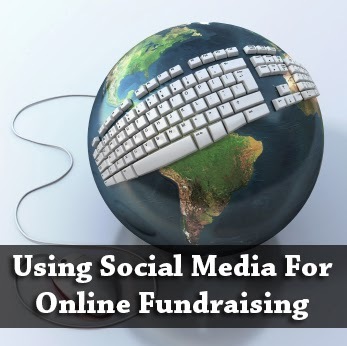 How To Use Social Media For Online Fundraising? One of the hottest ways of raising money today for a project is through online fundraising. As the conventional ways of making money online become harder and harder, more people are turning towards platforms like Kickstarter to keep their projects alive. All it for online fundraising is a great project idea that's innovative, or serves a cause people are willing to support. If you're looking for patrons for your projects, here are some tips to use social media to help you along. Why social media, you ask? Because a lot of people willing to be patrons for a cause, even philanthropists, do not know about Kickstarter and other such platforms. As many as 50% of the people in the U.S. get to know about causes via only social media networks, such as Facebook, Twitter, YouTube etc. These social media platforms make it possible for complete strangers to find each other, and support each other's cause should they be so inspired. Here are some ways you can use social media for online fundraising. Videos are the best! You can do more for a cause in a video than an article or book ever can. Touching, motivational videos are what often secure the most amount of support for a project/cause. If your projects is going to do some good for the community, then it shouldn't be hard making such a video. But don't just stop at a single video. Provide your patrons insights into what you've been up to, where you can justify the need for more funding. Some generous people might keep supporting your project until its done. So don't let them think they're wasting their money. Give them reason to support your cause. Get active on as many social networks as are relevant. Facebook and Twitter aren't enough. Do you use other networks such as Pinterest, Google Plus, Reddit, etc? Reddit is great for conversing. Unlike marketing a brand, where fans have to look for you, here you have to instead look for them. So look for them in all possible places, especially those frequently visited by your target demographic (which depends on your cause). Whether your cause is small or big, it will benefit from some branding. Assign a name to it, and create an appealing message or byline. Use specific colors, consistently in all your messages. You can use a thumbnail image representing your cause as your logo as well. A call to action is a very important part of any social campaign. People willing to donate don't just need to know about your project - they need to know how to help you too. Put up large and noticeable call-to-action banners, and link to your project website (yes, get a website for your project!) so people can track your progress, and help you in whatever way they can. It is important to get in touch with influential people on social media. Fundraising is a lot about word-of-mouth marketing and personal recommendations. Locate influential that might help your cause. These can be people working behind similar causes, or just people with a large fan-base of your interest. Cultivate relationships with them and get them to influence their audiences. If you need to purchase their services, do not hesitate to do so - they can give your cause a huge boost. You can use tools such as Commun.it to identify Twitter influences. There are other tools too that can help you reach a wider audience, such as DonateNow, DonorsChoose, Help Attack, and so on. It’s necessary that you and your team knows how to use social media. Assign a particular channel to each member, so that consistent coverage, follow up and messaging is assured. If your cause is big, it’s a good idea to consult a social media fundraising expert for advice. 7. Promote others' causes too! It’s never one way with social media. Use your own networks to promote someone else’s cause now and then, while your campaign is ongoing. This won’t take away from your campaign – rather, you will be noticed as someone who knows how to give and take. Social media is best way for driving traffic to blog. Yes, Social media most important play role for increase traffic.